What does it mean to leave a legacy? In simple terms, a legacy is passed from one generation to the next and often refers to gifts of money or property. However, leaving a personal legacy involves more than the financial assets you bestow on the younger generation. A lasting legacy is all about the actions you take during your life and the way those actions affect how people remember you. People learn how to leave a legacy to ensure their loved ones will be taken care of when they’re gone, and always remember them with love. Some famous examples of people who left a lasting legacy include: Alexander the Great, whose conquering spirit changed the face of the ancient world; Marie Curie, multi-Nobel Prize winner and pioneering physicist; and Nelson Mandela, an anti-apartheid revolutionary and South Africa’s first black president. Though not everyone can leave such an impression on the world, we can all strive to exemplify these traits in our personal lives and ensure that our actions have a positive effect on those around us. Below are 10 ways to leave a lasting legacy at work and at home, or jump to our infographic below. For most of us, work is a huge part of our lives. After all, we spend eight hours a day with our colleagues! If you’re able, fund a new leadership or development program at your workplace. Donate funds each year for applicants to do things like travel abroad to learn new skills, receive a higher education certification in their field, attend relevant conferences across the country, or anything else worthwhile. This could provide life-changing opportunities for other workers every year, and they’ll surely be grateful to you for starting such an amazing program. You can even name it after yourself if you want! Though grand gestures like the leadership fund are definitely impactful, sometimes the small things matter most. Every day when you go to work, make an effort to spread positivity. Always be ready with a smile, compliment, or advice. Even the smallest act can make someone’s day, and they’ll remember how you always improved office morale. It can be difficult for new or young employees to speak up for themselves in the workplace. Being ready to listen, projecting a humble attitude, and showing respect for subordinates can go a long way in forming positive opinions around the office. Helping someone get their big start or navigate a tricky situation is one of the best ways to ensure both their success and your lasting legacy in the workplace. Finances are the most tangible part of a lasting legacy — it’s important to make sure you’re leaving your loved ones in a manageable situation when you’re gone. One of the first steps to ensure a solid financial legacy is to be clear about where all your assets will go. Creating a detailed will can help alleviate stress on loved ones by leaving nothing up to interpretation. It is also important to think about the financial state of your loved ones and ensure that they will be taken care of. If you’re able, put your finances to good use and make a difference in the lives of others. If there is a particular charitable organization, project, or cause that deals with something near and dear to your heart, setting up a recurring donation is an excellent way to leave a legacy that means something. You’ll see the positive results of your gift, and know that you’ll continue to help others for years to come. Though this sometimes can’t be helped, do your best to make sure you’re not leaving your children or loved ones with financial burdens. Depending on the type of loan, your debt could be passed on to your next of kin after you’re gone. Leaving your loved ones with the most stable financial situation possible is an important way to leave a positive legacy and ensure your peace of mind. Not only is it important to make sure you aren’t passing on debt, one of the greatest financial advantages you can give your loved ones is to grant them valuable properties or items. When you write your will, think hard about who would benefit most from receiving your assets. For example, you could leave your home to your spouse to make sure they have a secure living situation; gift your valuable carpentry tools to your daughter so she can prosper in her own business; and leave family antiques to your younger sibling who will treasure them and always think of you. The way your siblings, children, grandchildren, and friends remember you has a lot to do with your everyday attitude and how you approach life’s challenges. You’ve probably heard the phrase “grab life by the horns.” This really is one of the best ways to enjoy a fulfilling life and ensure that your legacy lasts. You don’t want to look back and worry that you missed out on any major experiences because you were too cautious. This zest for life is infectious — those around you’ill remember your spirit and positive attitude. Understanding your family history and ancestors is the best way for kids to grasp the importance of legacies. Take the time to sit down with your children and grandchildren. Teach them about your childhood, your parents’ and grandparents’ lives, and other important family stories. 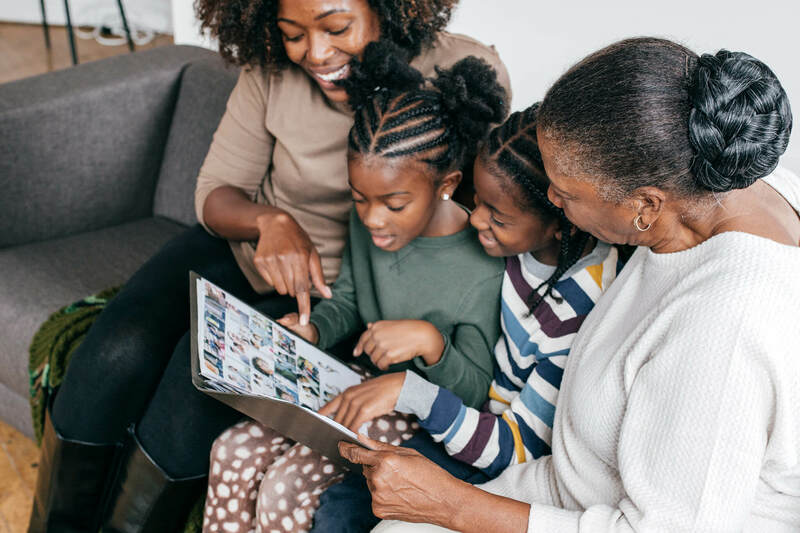 Then, your children will talk to their children about your life, and each generation will have an appreciation for the family’s history and legacy. Your children and grandchildren will remember you most by the types of personal interactions you have with them. Strive to be a mentor they can look up to. Act the way you want them to act and live the way you want them to live. Always take time to help when you’re needed and make an effort to be a positive force in their lives. Whether at work or at home, the way you act and what you pass down to others will shape your legacy. This includes not only the way you treat and inspire others, but the financial state in which you leave your loved ones. Live your life in a way that makes you proud, lets others remember you fondly, and ensures a safe future for your family. If you’re still wondering how to leave a lasting legacy, take a look at the infographic below for famous examples that still inspire us today.